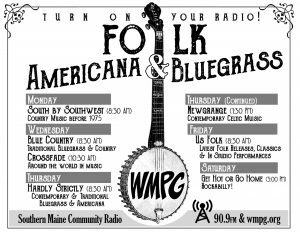 Local Motives is WMPG’s long-running, mostly-live, always local music show. LoMo has been on the air for 30 years, with representations of all different styles of music in our archives. We are passionate about supporting bands, artists, and venues in Maine. To listen, tune in every Friday from 7:30-9pm. If you miss a Friday you wanted to hear, every show will be archived for five weeks. 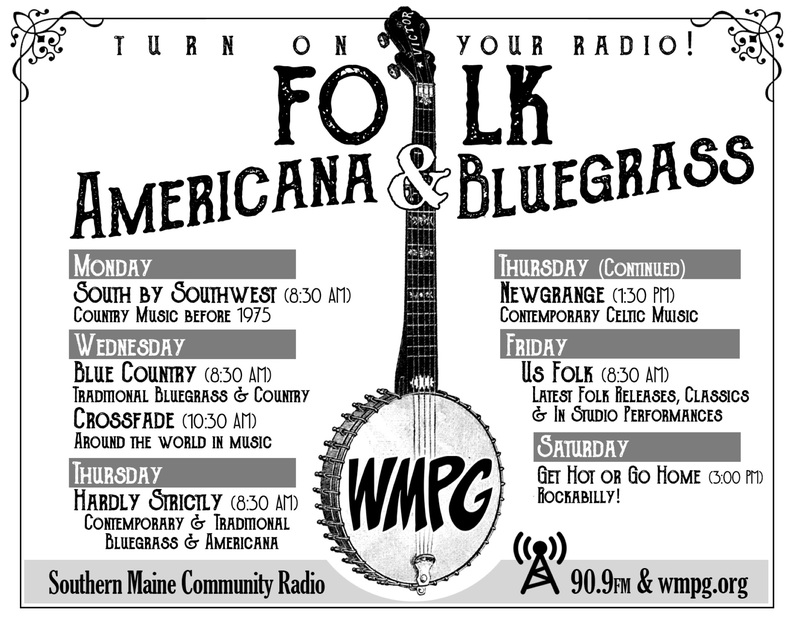 If you have any questions about the show—or maybe you want to get involved in some way!—email wmpglomo@gmail.com. It’s Jamie Lebish -writing you on behalf of Ocean Sol Jazz; regarding our appearance on The Local Motives show on December 29th. I wanted to ask if there is an awesome engineer working the live board on the 29th of December? We wanted to opt in for the multi-Track copy for $25.00 as we definitely have had fun, and came out with great recordings. We are very happy to be back on your show! I know load in is at 5:30pm and Sound is 7PM. Start live at 7:30-8:30PM? 1 hour of music or 90 minutes? Also we are a larger band now. Guitar, Bass, Drums, Piano, percussion and female singer. 7 of us. Shannon O’Connor would sing in the broadcast booth? Let me know, Thanks, Jamie and Ocean Sol Jazz. Hey Josh & Matt, Stoggie here from MoTWoD. Thanks for having us on Local Motives April 20 2018. It was a great show and the band had a lot of fun. Maureen & Ansel (I hope I spelled the names correctly) was a wonderful hostess and host. They made us feel right at home. Thanks to Quinn for the sound engineering and thanks to everyone for listening. We would love to do it again in the future. Peace. Hi Josh and Maureen! Thank you again for having me on Local Motives. The band and I had a fantastic time and you were great to us and made us feel right at home. It was great to work with such professional people!